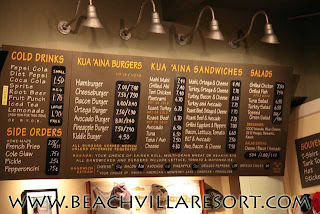 I'm in big trouble (not really) if I don't take my wife to Kua Aina's for lunch at least once during our trip to Hawaii and the North Shore where I grew up. 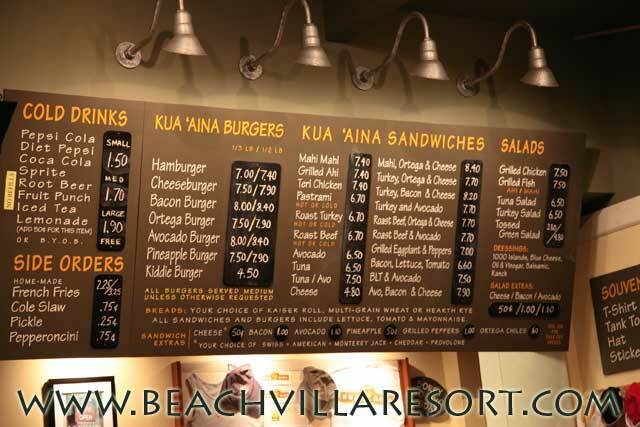 The Kua Aina menu features hamburgers but in my opinion, the real draw here is the Mahi Mahi burger. I've had the hamburger, and well it's a hamburger. The Mahi burger on the other hand contains two tasty pieces of Mahi Mahi, lovingly placed on a Kaiser Roll, lathered in a home made sauce that is onolicious. Wish I could sneak out the recipe! Lettuce and Tomato accompany the burger. 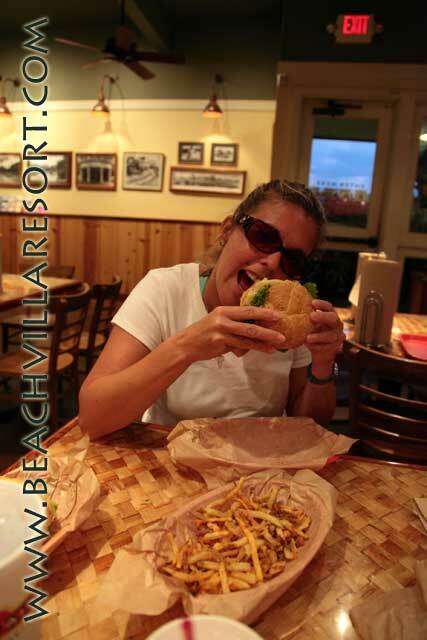 Add a large order of shoe string fries, the perfect companion to the Mahi Mahi. They have the perfect texture of soft and crunch. My mouth is watering! I like to order mine with Ortega Green Chiles (my years in Santa Fe, New Mexico) or Pineapple. My wife likes to order it with Pepper Jack Cheese. 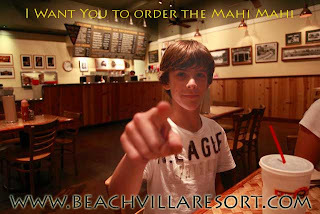 If your children don't appreciate the Mahi Mahi, here's my suggestion. On the days our children 12 & 14 don't feel like having Kua Aina's, they have us drive through the McDonalds in Haleiwa where my daughter likes to order Saimin (Ramen Noodles) and my son likes to order a double cheese burger with fries. 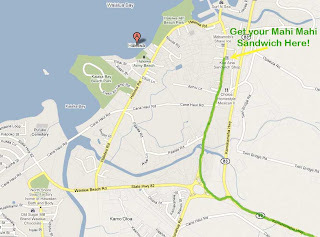 Kua Aina is expensive and they only take cash, so if the kids in your family are not craving a Mahi Mahi burger, just order at McDonalds and bring their lunch to Kua Aina. 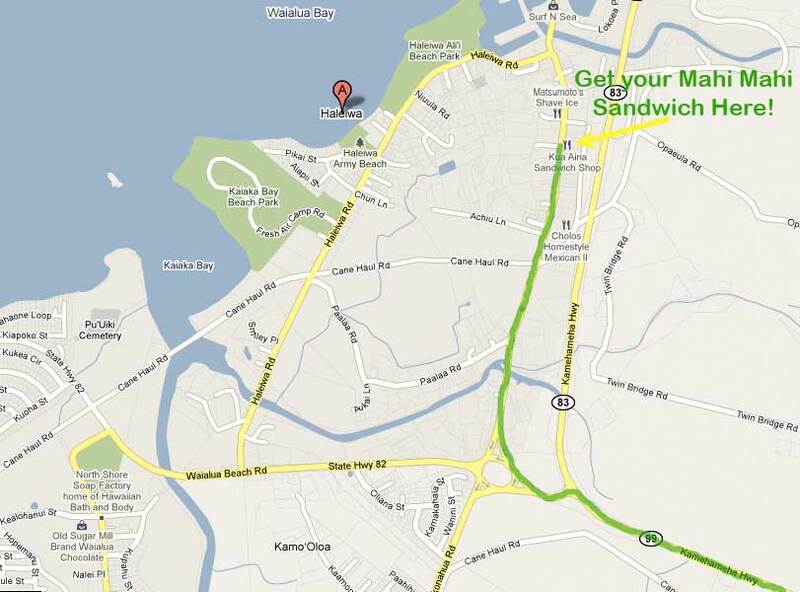 The McDonalds is on the left side of the road in a plantation looking building when driving in from the Beach Villa Resort. Kua Aina also makes good grilled cheese sandwiches, according to my daughter. Head out of the Beach Villa's Resort on the H1 freeway heading East ("Mauka or towards the mountain"), next take the left exit on the H1 freeway onto the H2 freeway going North ("Makai, towards the Sea"). Continue Makai until the H2 ends. Continue to follow the signs to the North Shore and Haleiwa. There are multiple routes but as long as you continue Makai, your fine as eventually, you'll fall off into the Ocean! At the traffic circle, you'll follow the signs for Haleiwa which is towards the right heading North/East, Waialua and Mokuleia are the other way which we'll cover in a blog for another day. Enjoy the Ono ("Delicious") Grinds ("Food in Pidgen English*") and we'll see you there!